Camp John Hay may have been the first place in the Philippines bombed by Japan in World War II. At 8:19 a.m. on December 8, 1941 – December 7 on the Hawaii side of the International Date Line – seventeen Japanese bombers attacked Camp John Hay killing eleven soldiers, American and Filipino, and several civilians in the town of Baguio. The first response of John Hay’s commander, Col. John P. Horan, was to order all the several hundred Japanese residents of Baguio rounded up and interned in two damaged barracks on the base. The Japanese pleaded with Horan not to confine themselves in a place likely to bombed again. 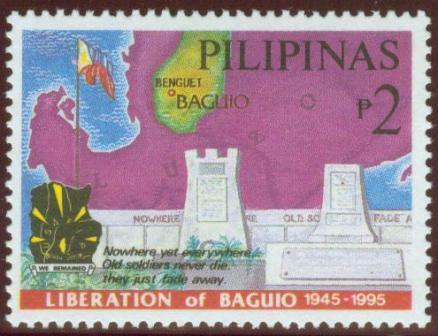 The one thousand American and Filipino soldiers at Camp Hay made little effort to defend Baguio from the advancing Japanese invaders. They abandoned the area on December 24, destroying most of their weapons and equipment and leaving the Japanese internees locked up without food and water. The soldiers left former Mayor, E.J. Halsema, in charge and he and Elmer Herod, another American resident of Baguio, provided food and water to the Japanese internees. On April 23, 1942, the five hundred American and Western internees were moved to Camp Holmes, a base of the Philippine constabulary, five miles from Camp Hay. They were joined there by 300 Chinese internees. Conditions at Camp Holmes were much better. [On July 17, 1942, N. J. Sorrell escapes. 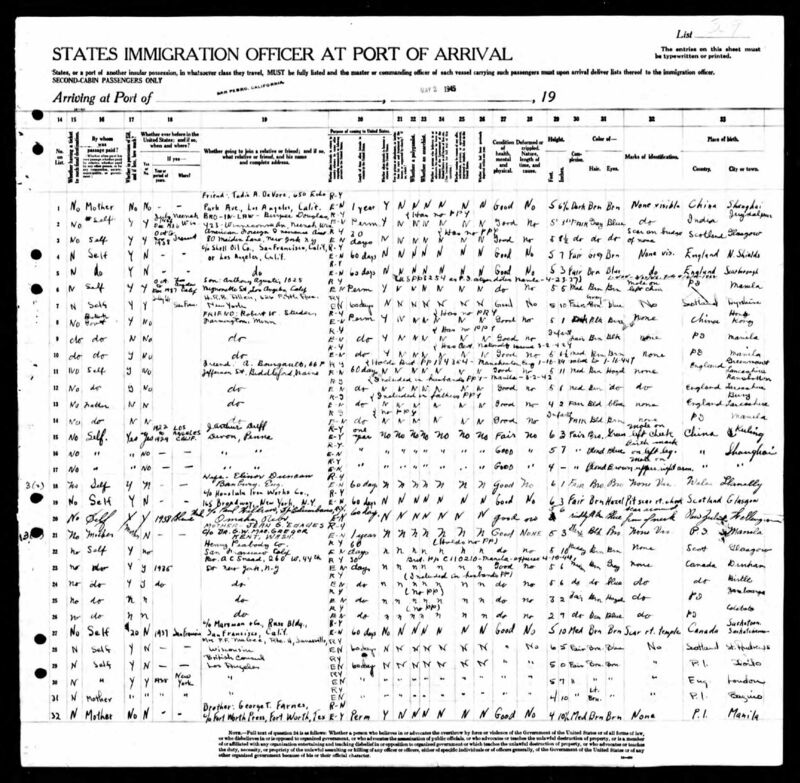 On On April 5, 1944, G. Herbert Swick and Richard R. Green escape the camp. As a result, internees E.J. Kneebone, William Moule and J. J. Halsema are tortured by the Japanese. Many of the original buildings which were used to house internees still stand such as the building now occupied by the Lonestar Steakhouse, the Base Chapel and the adjoining rows of cottages. During the Japanese occupation, General Tomoyuki Yamashita used the American Residence as his headquarters and official residence. On December 27, 1944, the internees were moved to Old Bilibid Prison in Manila. On April 26, 1945, Baguio City and Camp John Hay fell into American hands. Combined Filipino and American forces pursued the retreating Japanese into the forests of the Benguet Mountains. Finally, on September 3, 1945 Yamashita surrendered to General Jonathan Wainwright at the American Residence. British General Arthur Percival stood as witness. These two Generals, who were both defeated by Yamashita, especially flew up to Baguio to accept the surrender of Yamashita. Are there any survivors alive today? I believe that my wifes grandmother was there- she was a daughter of a US Buffalo Soldier who married a filipina lady. Would like to connect with anyone who knows more. I am searching for information about the Schwersenz family which emigrated from Germany via Switzerland to the Philippines as jewish refugees. 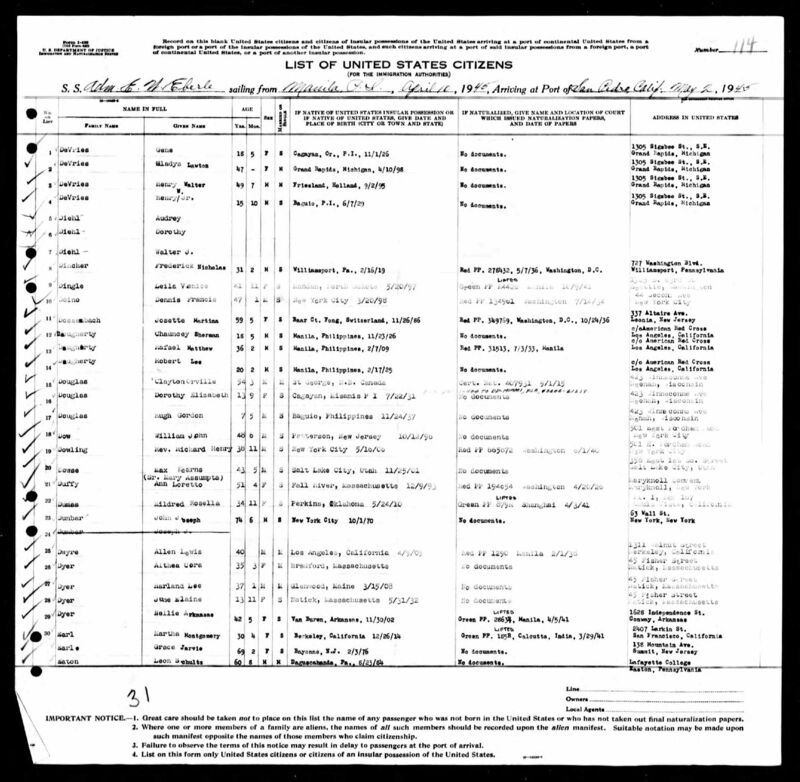 Hi, Ulrich, I have recently started adding the Jewish refugees into my database. 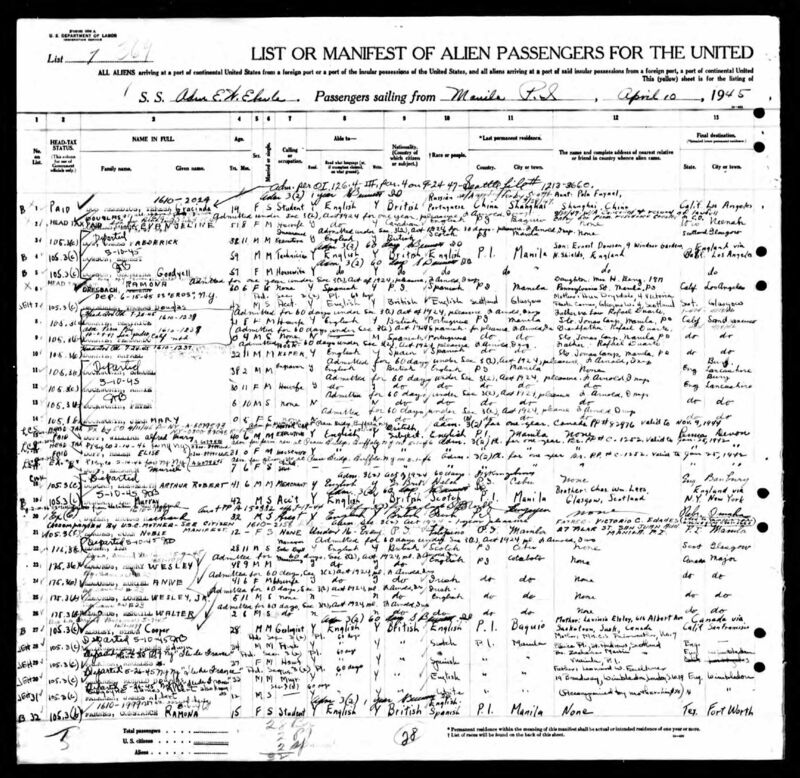 Alfred, Siegfred, Carl and Gerda Schwersenz and all listed in “Philippines, Jewish Refugees, 1937-1941” database as having fled from Berlin, Germany. Alfred and Sigfred as both listed on the plaque of dead in the Jewish section of the Cemetario del Norte in Manila as being Jews who died in the Philippines during WWII. They might have been killed during the Battle of Manila. The best book I’ve seen on the Jewish population in Manila is “Escape to Manila: From Nazi Tyranny to Japanese Terror,” 2003, by Frank Ephraim. However, the Schwersenz family is not listed in the index. I will try to check some other sources. My mother, her father, and her brother were in this camp (Maj. (ret) John Taylor Woodson, Elizabeth Woodson, and Bertrand Woodson). Her father was retired US military and her mother was native-born. My father was with the forces that liberated the islands and was on the ship that brought them to the states. There is a book, secretly written by one of the ladies in the camp. I’m sure it’s out of print, but perhaps you can find an old copy if you haven’t seen it: Forbidden Diary by Natalie Crouter. It is difficult reading, at least for me, but very informative. My mother shared few details of that time, so I knew very little of the appalling circumstances. I was with my Aunt who is now 91 years old and I love listening to her life experiences. She mentioned Elizabeth Woodson today and said she really missed her and did not have a chance to say goodbye. She also mentioned Bertrand and could not stop remembering … so I just surfed the internet and found your post. I showed her a picture I found of her and 2 children. I hope you see my post and maybe we can connect at least via email. We are from Baguio Philippines and my Aunt stayed a lot with you family … it is fascinating. I believe Fred Crouter, son of the author Natalie Crouter may still have copies of his mother’s book. I am the sister of Curtis Tong (recently deceased) who wrote the book “Child of War”. My Sister Eloise Purdy and I are in contact with a few of the Baguio internees. Sadly many are no longer with us! 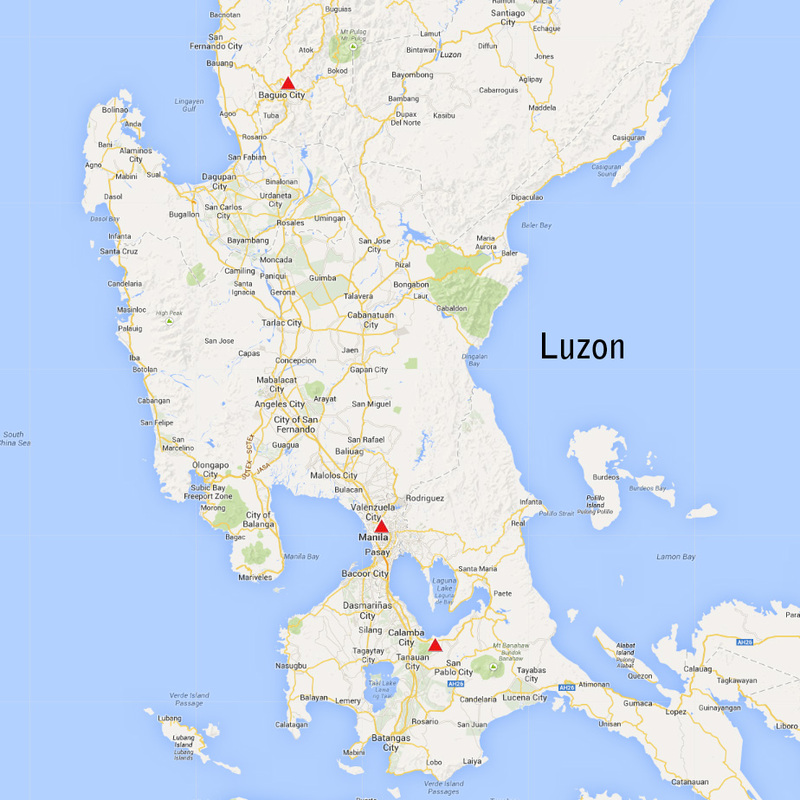 My husband’s families were all living in the Philippines during WWII. Some members were interred: specifically his paternal grandfather Roy Dewitt Bennett at Santo Tomas, maternal grandfather Dr. James Walter Strong first at Santo Tomas then transferred to Los Banos, and Aunt Frances Bennett Ichard at Camp Hay, along with Evelyn (Bennett) and Enrique De Luceriaga, and Alphonso and Roberta (Strong) Ybannez. Of all the family, the circumstances around Aunt Frances’ death have never been clarified. I was able to find her listed at Camp Hay, dying either from health reasons or trying to escape, but that’s it. Family legend said that she and two other woman were removed from the camp and beheaded. Would anyone at your site have more information about her or other family members listed above? Thank you so much. I am sorry to say I lost the link to your site, so just read today your response to my request. Periodically I do family research hoping to find new information. I will try to locate Hinds book. Thank you for any information you may find.